A Carthaginian burial site was not for child sacrifice but was instead a graveyard for babies and fetuses, researchers now say. 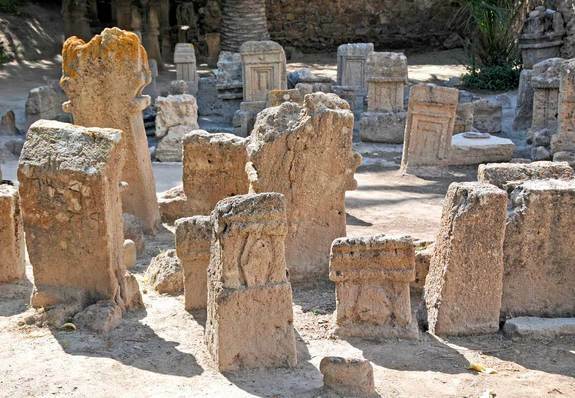 Based on historical accounts, scientists believed Carthaginians sacrificed children at the Tophet before burying them there. For instance, the Bible describes child sacrifice to the deity Baal, worshipped by a civilization in Carthage. A Greek and a Roman historian both recount gory tales from this time period in which of priests slit the throats of babies and tossed them into fiery pits, Schwartz said. However, those accounts came from Carthage's enemies. "Some of this might have been anti-Carthaginian propaganda," Schwartz told LiveScience. Smith's team published a 2011 paper questioning Schwartz's dental analysis. The incredible heat and pressure generated during cremation usually erase the neonatal line, she said, so its absence isn't a reliable measure of age. Schwartz's team miscalculated how much teeth shrink in cremation, leading to an underestimate of infant ages, Smith argued. "The Carthaginians were seafarers; they needed wood for ships, they needed wood for cloth, they needed wood for their tools," she said.